The IRS sometimes recognizes a group of organizations as tax-exempt if they are affiliated with a central organization. This avoids the need for each of the organizations to apply for exemption individually. A group exemption letter has the same effect as an individual exemption letter except that it applies to more than one organization. Front Porch is a member of such a type of group exemption. 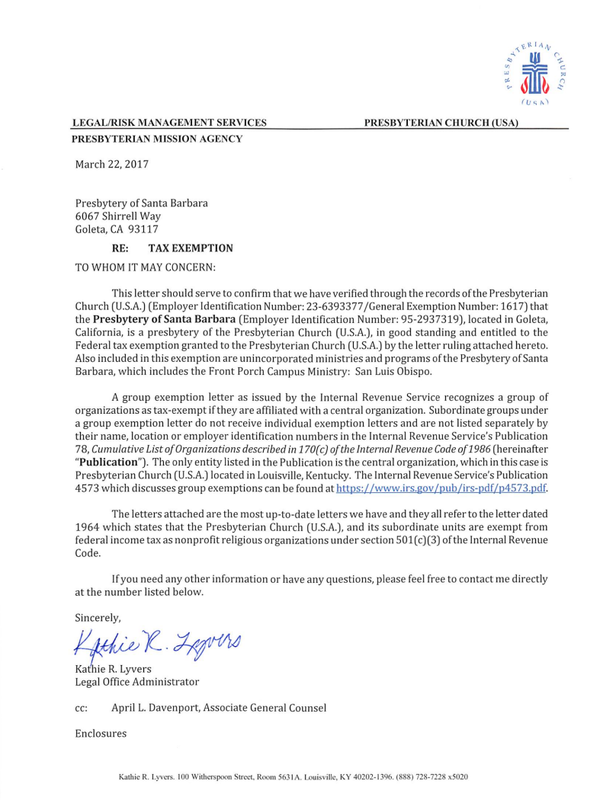 Below find links to the letters from the PC(USA) and the IRS regarding the tax exempt status of Front Porch, SLO.